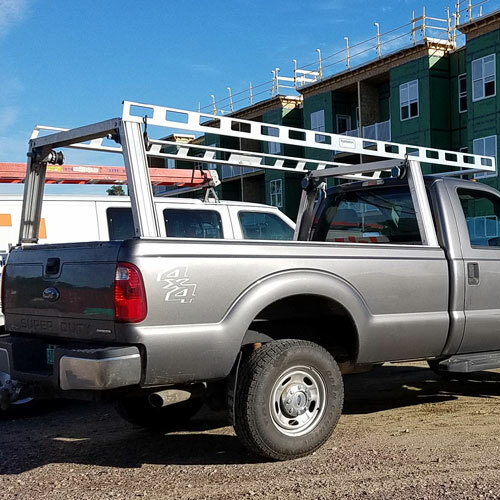 System One c51c Contractor Rig Crossmembers attach to the System Leg Kits, are positioned at the front and rear of the pick-up bed, and measure 4-1/2" wide by 2-1/2" deep. 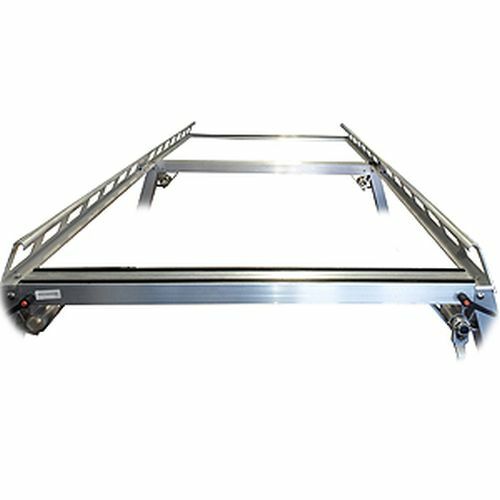 Their 2-1/2" depth gives them a high load carrying capacity. 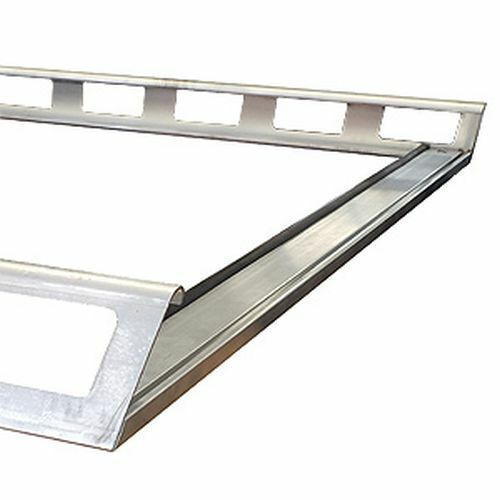 System One Crossmembers have three recessed T-slots - two running parallel on the top surface and one on the bottom surface that runs down the center of the crossmember. 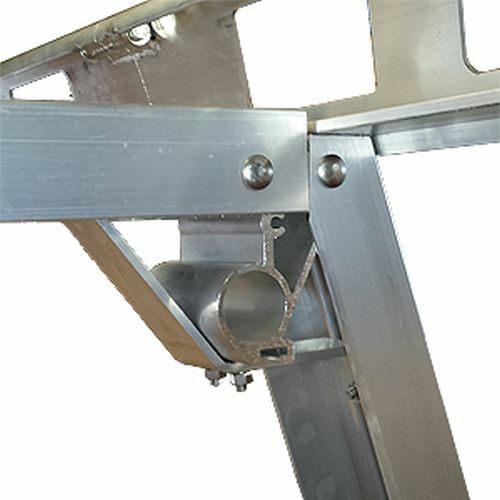 An additional lower profile crossmember is attached to the front of the System One Cantilever Kit. 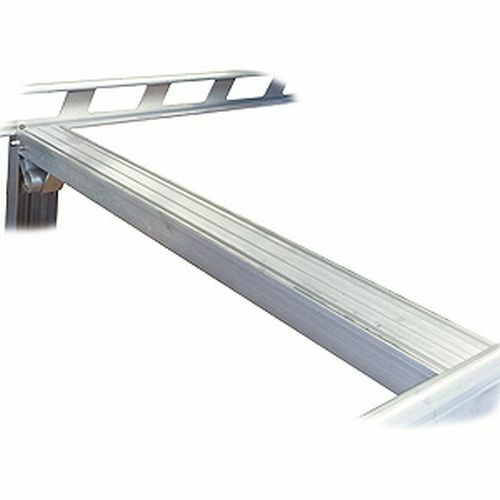 The T-slots in the top surface are used to hold Ladder Life Anti-Wear Inserts and Ladder Glide Low Friction Inserts. 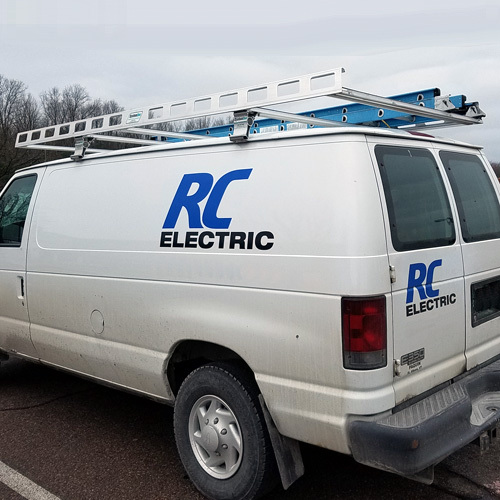 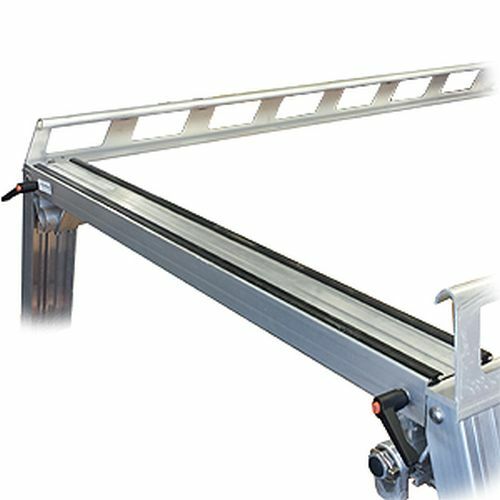 They are also used to attach accessories like ladder stops, ladder rollers, clamp systems, strobe mounts and antenna mounts. 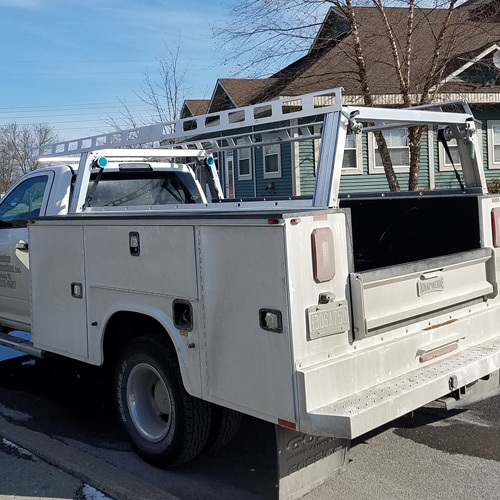 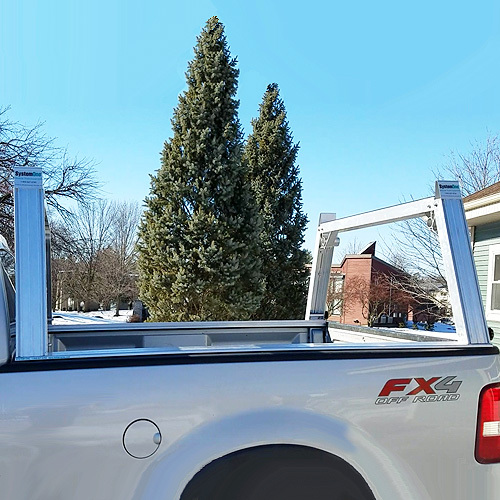 The rear crossmember of the Contractor Rig is easily removed, using the handles and knobs provided, for loading tall or heavy items into you truck bed.